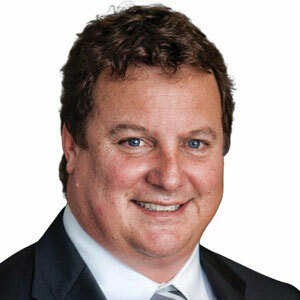 Greg Clark, CEO As new technologies like the Internet of Things (IoT) and cloud computing coupled with the boom in consumer trends such as online shopping and social networking advance, cybercriminals are exploiting the surge in opportunities to hack valuable information. Over the past couple of decades there has been a fundamental shift in the threat landscape, from attackers who seek attention to organized cyber criminals with an army of network specialists staging crippling cyber attacks. Advanced attacks and a lack of in-house security expertise cause organizations to struggle in implementing a security strategy to effectively detect, assess, and respond to threats. The adoption of advanced cybersecurity has lagged behind that of the technological revolution, causing enterprises and consumers serious money, time, and reputation loss due to security breaches, identity theft, and other forms of cyberattacks. “It’s a new theater of war. It’s serious business,” says Greg Clark, CEO of Symantec [NASDAQ:SYMC]. Symantec has evolved to become the global leader in providing security, and information management solutions to help customers—from consumers and small businesses to the largest global organizations—secure and manage their information against risks at various points across the entire organization. With Greg Clark at the helm, Symantec is redefining the cyber security arena through its innovative product portfolio. “The bad guys are constantly evolving their techniques and methods. And today approximately 60 percent of hostnames on the web are open for less than 24 hours, indicating that they may exist for the sole purpose of cybercrime,” adds Clark. In order to hedge against this risk, Symantec’s CEO highlights the firm’s constant endeavors in searching the web for sites including known phishing sites, identifying them before they bring businesses to a standstill. A pioneer in creating cyber security solutions, Symantec has established one of the most comprehensive sources of Internet threat data in the world through the Symantec Global Intelligence Network. The network monitors threat activities in over 157 countries and territories through a combination of Symantec products and services, such as Symantec DeepSight Intelligence, Symantec Managed Security Services, Norton consumer products, and other third-party data sources. In addition, Symantec maintains one of the world’s most comprehensive vulnerability databases, currently consisting of more than 74,180 recorded vulnerabilities (spanning more than two decades) from over 23,980 vendors representing over 71,470 products. Symantec’s prowess traces back to the timeline, in 1975, when the U.S. Navy reached out to Stanford Research Institute’s (SRI) computer scientists to develop software that could enable the government organization to quickly search and access large databases by questioning a computer in plain English. Today, the company has reached new heights with its laser focus on cyber security. “We see Symantec well positioned to address the key secular themes within security—increasing consolidation of security functionality onto broader platforms, increasing visibility across threat vectors and more automation across the security architecture,” says Clark. Specializing in security and information management software, the global organization offers solutions, services, and products in a wide array of fields within computer technology such as utility software, debugging software, disk cloning technology, anti-spam software, data encryption, authentication services, identity management and mobile device management to name a few. The most notable products of Symantec are Norton Antivirus Suite, Enterprise Vault, and Veritas suite. Norton antivirus’ advanced protection suite provides comprehensive security from computer viruses and threats, the main service being malware detection and removal. It works on a subscription basis and uses signatures and heuristics to identify different viruses. The Enterprise Vault is offered as part of Symantec’s Information Foundation Suite. The file archiving software helps clients easily store and recover files at their workplace. Users can duplicate files at the source thereby reducing operational costs. Mainly aimed at archiving email messages, it is a product of choice for companies that are looking to have an integrated mailing system with efficient search options. A strong contender in the field of computer technologies, Symantec has been generating billions of dollars in revenue with each passing year and has utilized their market leadership position to accelerate new growth opportunities. As the industry matures, Symantec has made it a point to pair new technologies with their core solutions to deliver integrated solutions that address evolving customer needs. Symantec’s teams around the world are developing technologies and building solutions to help customers secure and manage their information. The company’s Security Technology and Response (STAR) division is a team of security engineers, virus hunters, threat analysts, and researchers that provides the underlying security technology, content, and support for all Symantec corporate and consumer security products. The group is Symantec’s eyes and ears when it comes to surveying and keeping a finger on the pulse of the Internet security threat landscape. "It’s a new theater of war. It’s serious business"
Symantec’s Research Labs (SRL) has played a leading role in developing and commercializing numerous cutting-edge technologies across Symantec’s business areas. Commercialized technologies from the group include industry leading rootkit protection, and innovative browser protection technology to proactively block future exploits of known vulnerabilities. Also on offer is Symantec’s first antispam technology, generic exploit blocking technology that proactively blocks fast-spreading threats, online consumer security services, and technology to help protect the nation’s critical power-grid infrastructure. SRL also partners with external organizations on joint projects, through its university and government research efforts. Creativity is deeply woven into Symantec’s culture with great technology and business ideas coming from across the company organically and through acquisition. Symantec’s team of seasoned engineers enhance their productivity by pursuing advanced projects and working with the engineering centers, research labs, and global services teams to translate hands-on experience into new security, and information management technologies. Symantec also plays a leading role in key industry standards and certifications programs continuing to imbibe a strong culture of security innovation that continues to drive the company’s growth. Symantec recently joined the Cyber Threat Alliance, based in California, a not-for-profit organization formed to share cyber-crime threat intelligence. Symantec’s portfolio of software and services offers holistic protection to the organizations, in ways that can be managed easily and with controls that can be enforced automatically. Their market-leading solutions help customers ensure that their information—from digital photos to intellectual property—is secure and well-managed. Recently the company enhanced their Cloud Security Platform which uniquely provides a complete means for the Chief Information Security Officer (CISO) of the modern enterprise to securely enable cloud adoption, while unifying both cloud and traditional on-premise environments for seamless security. Symantec has been driving transformation through their robust platform that integrates critical security and compliance frameworks and wants to continue delivering the most comprehensive set of controls available to protect users and the organizational data. “In the near future, we predict there will be less than a handful of strategic security providers, Symantec being one, who have made the proper investments to succeed,” asserts Clark.